"War is the health of the State," declared progressive essayist Randolph Bourne. "Only when the State is at war does the modern society function with that unity of sentiment, simple uncritical patriotic devotion, cooperation of services, which have always been the ideal of the State lover." That explains why those in power always seem to have a contingency war plan to fall back on when others don't pan out. One in particular, developed in the 1930s, centered on a potential war with Great Britain. 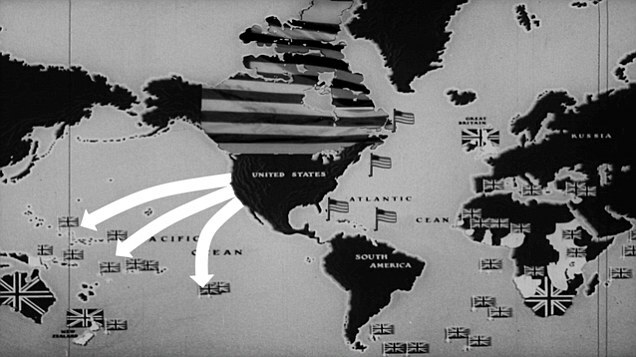 War Plan Red, as it was known, involved the U.S. conducting strategic bombing raids and chemical weapons attacks to knock out British forces in Canada and the North Atlantic, essentially cutting the island nation off from the rest of the world. The plan, however far-fetched, didn't exist just on paper. Parts of it were actually implemented. In 1935, for example, Congress allocated $57 million to build secret airfields on the U.S. side of the Canadian border, with landing strips hidden beneath strips of sod. This is the kind of information you won't find disseminated in any high school history class. Read the full story in the Daily Mail.